Giving attention is not meditation. Meditation is not concentration. Meditation is not contemplation. The word ‘meditation’ originated from spirituality. In India, spiritual seekers understood the deeper aspects of ‘meditation’. But today the word ‘meditation’ has become commonplace and is being used without its deeper meaning. It has therefore lost its importance. ‘Giving attention’ is being understood as ‘meditation’ by most people. Meditation is an attribute. It is an attribute of the witness. The witness which is called differently by different people… God, Allah, Self, Self-awareness, Consciousness, etc. Meditation is that source which is present even in deep sleep – self-awareness – even in the state of unawareness. Meditation simply means ‘doing nothing.’ For some people ‘doing nothing’ is very difficult. How can we do ‘nothing’? If someone asks, ‘What should I do to get sleep? What can be done to get sleep faster?’ Then he will be told , ‘You have to do nothing to get sleep. Just go and lie down. If you try to get sleep, it will run away. You can get sleep very easily without making any effort.’ In the same way, meditation is also a process in which there is no need to do anything. You simply have to be present. The techniques which have been designed to kick start meditation or to improve concentration, have also been called ‘meditation’. This ‘meditation’ is a path to self-meditation. Self-Meditation means meditation of ‘Self’ which is the real aim of meditation. Just improving concentration is not the goal of meditation. The word ‘Self-Meditation’ is more appropriate than the word ‘meditation’. But due to the greater prevalence of the word ‘meditation’, people have forgotten the real meaning of meditation. Concentration is a ladder in the path of meditation. Concentration improves with meditation. But if someone is meditating with the aim of improving concentration, then he is taking only minimal benefit from meditation. Many a times it so happens that someone begins on the path of meditation to attain ‘Self–Realization’, but he becomes very happy with improved concentration having gotten some powers and strays away from his real goal. Meditation has also been taken as a Yogic Practice. Meditation (awareness) is necessary in every field of life. No work can be done without meditation. Meditation is essential for all activities of life. All our senses affect our body. Whenever our senses are directed externally and are involved in external things, then all the energy of our mind gets exhausted in the external objects. Therefore it is necessary that we have some control over our senses, which is possible through meditation. Through meditation it is possible to utilize for ourself a part of the energy which is getting consumed in the external world. To shift the mind from external objects and stabilize it inside is the beginning of meditation. 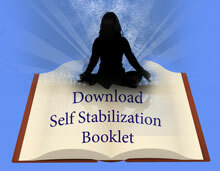 The above article has been taken from ‘Meditation’, a book written by Sirshree. Although it was targeted primarily for beginners, it can be useful for everybody – even for those who practice meditation regularly. Just as you can’t learn swimming by just reading a book on swimming, similarly you can’t get the benefits of meditation, you don’t get absorbed in meditation just by reading a book on meditation. Practicing regularly with the right understanding is necessary to make progress.